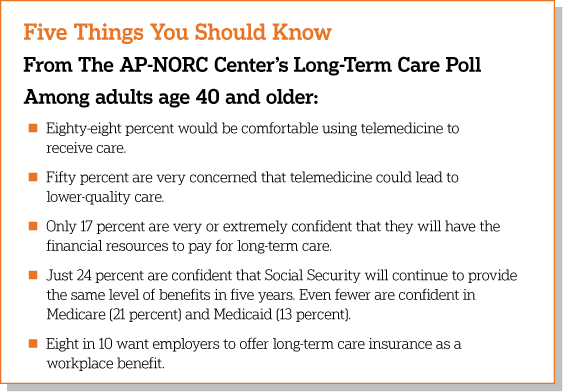 The AP-NORC Center’s 2018 Long-Term Care Poll asks Americans age 40 and older what they think about telemedicine and other issues related to care. As access to telemedicine grows, results from the 2018 Long-Term Care Trend poll show Americans age 40 and older have widespread comfort with the technology. 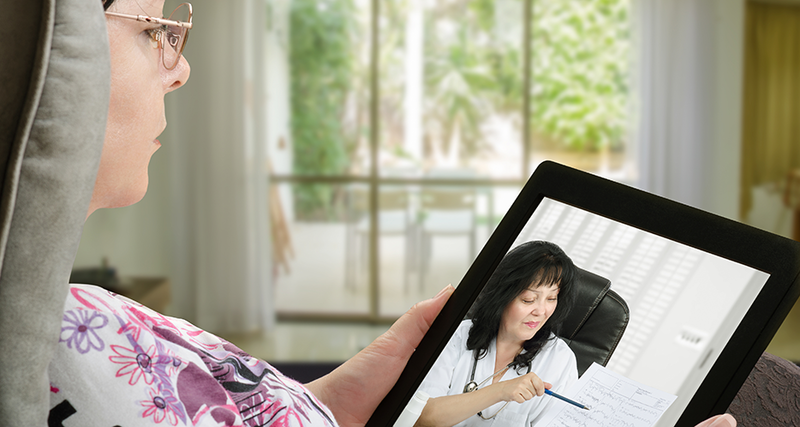 Over half are comfortable using a live video service like Skype for a medication consultation or for ongoing management of a chronic condition. While telemedicine services may hold particular promise for older adults in need of long-term care, The Associated Press-NORC Center for Public Affairs Research survey finds that older Americans have some concerns, with the No. 1 concern being that it could result in lower-quality care. Since 2013, The AP-NORC Center has conducted annual surveys investigating older Americans’ experiences and attitudes regarding long-term care to contribute data to help policymakers, health care systems, and families address this issue. This sixth poll in the annual series also finds that older Americans continue to lack confidence in their ability to afford the costs of long-term care services and that few believe social safety net programs will provide a similar level of benefits five years down the road. For the first time, this year’s study also explored the perspectives of younger adults, those age 18 to 39, generating new insights on their views of long-term care and personal experiences with caregiving. The results comparing younger and older Americans are detailed here. The AP-NORC Center conducted this study with funding from The SCAN Foundation. The poll includes 1,945 interviews with a nationally representative sample of Americans using the AmeriSpeak® Panel, including 423 adults age 18-39 and 1,522 adults age 40 and older.